Traxxas Diff Housing, E-Revo Frt or Rear. Traxxas Diff Housing, E-Revo Frt or Rear. 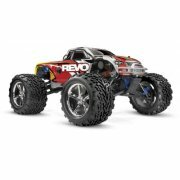 ..
Traxxas Diff Ring/Pinion Gear, Revo 3.3 ..
Traxxas Differential Carrier W/ X-Ring Gaskets. Fits Revo/T-Maxx. ..
Gear set, differential (output gears (2)/ spider gears (2)/ spider gear shaft/ diff carrier support)..
Traxxas Front And Rear Body Mount, Revo 3.3 ..
Traxxas Front Bulkheads,L&R Halves, Diff Retainer, E-Revo. .. Heavy Duty Rebuild kit, slipper clutch (steel disc/ friction pads (3)/ spring (2)/ pin/ 4.0mm ..
Traxxas Rear Bulkheads,L&R Halves, Diff Retainer, E-Revo. ..
Bumper, rear (chrome)/ bumper mount, rear/ 4x10mm BCS (2)/ 3x25mm BCS (2) . Fits Revo 3.3 ..
Traxxas Servo Horns, Revo/Revo3.3 ..
Traxxas Shift Linkage, Revo 3.3. ..
Traxxas Spool, Differential. This differential spool replaces the differential gears. The spool lock..